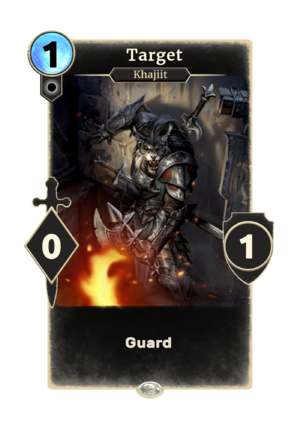 Target is a common Neutral creature card. Cliff Racer Onslaught creates up to two. Morag Tong Assassin's summon ability creates up to one. Morag Tong Nightblade's summon ability creates up to one. Naryu Virian's summon ability creates up to two. The Night Mother's activate ability creates up to one. "Do not trouble this one."